Can You Imagine Being Love? What Would It Be Like To Be Your Lover? Purest Form of Trance is a collection of conscious love songs. 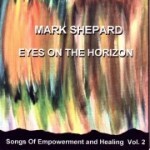 Home Across The Sea is the 2nd “New Thought Music” CD by Singer Songwriter Mark Shepard. Following hard on the heels of his 2012 release, “The Fire Before The Flame”. Inspired by the ideas swirling around the “spiritual but not religious” Unity Church in Albany NY as well as Bethany Gonyea’s Numinous talks and the Albany Peace Project. Spiritual (but not religious) CD featuring songs I’ve written between February 2011 and August 2012 inspired by the “New Thought” ideas and inspirations floating around Unity Church In Albany. These songs have been inspired by the talks of Rev. Jim Fuller as well as visiting speakers like John Welshans, Sonja Milton, Jackie Hawkins and others. Get “The Fire Before The Flame” CD right now! Buy Ocean of Dreams CD Now! Click here to Hear These Songs! 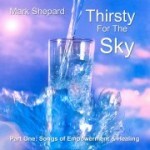 Buy Thirsty For The Sky CD Now! 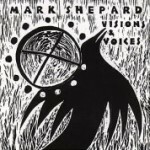 Buy Visions & Voices CD Now! Need to hear the whole thing? Listen Free Now! To share a comment or contact me kindly click the link.